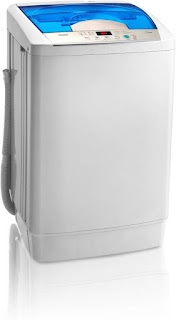 MarQ MQFA75 is 7.5 kg fully automatic top load washing machine with 700 rpm spin speed and 420 watt power consumption. 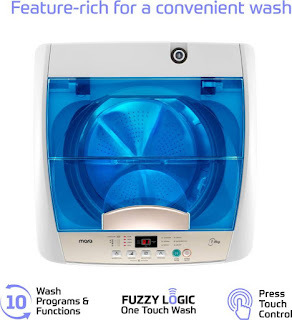 It comes with 10 wash programs (standard, speedy, gentle, strong, soak, spin, rinse). It is available in grey color. Best for the 4 member family. 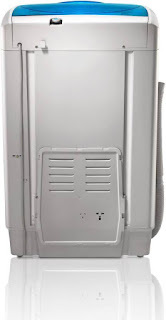 The machine has features like fuzzy logic, auto balance technology, delay wash, child lock, digital display, water level selector, waterfall flow.